What was school like 200 years ago? To find out, Dollar pupils from Prep 1 to Form III went back in time for a day. At a traditional morning ‘prayers’, with boys sitting on one side of the Assembly Hall and girls on the other, pupils were given some historical context for the day:- Napoleon’s exile to St Helena, rioting in response to the Corn Laws, the new American flag, the recently published book Frankenstein and compositions, Fur Elise and Stille Nacht. Notices for the day included a reminder to hand in tickets for classes and that the girls classes start and finish punctually 10 minutes after the boys lessons! Younger pupils, decked out in traditional clothes of the day, were regaled at their assembly by a suitably suited and booted Mr Daniel who told the parable of the man who build his house on a bed of sand, before delivering a stern sermon on good versus evil. 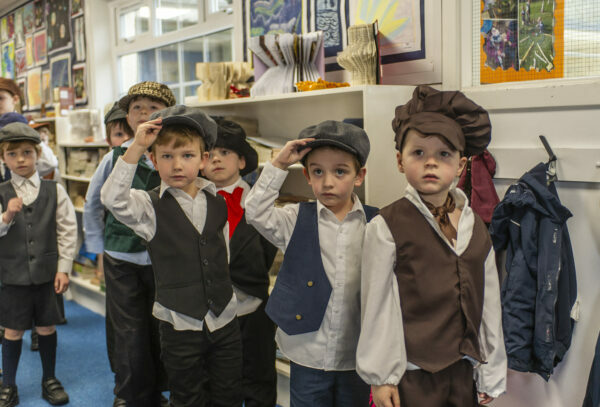 Lessons for the younger pupils included drill and deportment, handwriting, dictation, Latin, sewing for the girls and a study of the empire followed by a traditional lunch and games from the era. 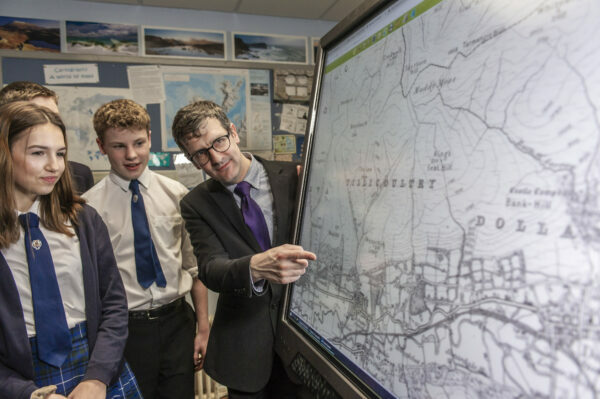 Senior pupils learnt how to use a slide rule, performed arithmetic and problem solving involving the digits 1818 and 1819, compared the geography of Dollar, then and now, looked at the recently invented kaleidoscope, made anatomical drawings and investigated the newly discovered element, magnesium. In keeping with the times, no fun was had by all!